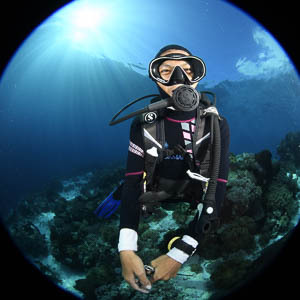 The Nauticam Port Locking Lever has become an icon; so easy to use, yet more secure than lesser methods of attaching ports. No twisting required, just push & lock. 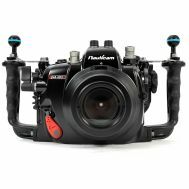 A Multi Controller Pad, located within easy reach of the right thumb, virtually recreates the Nikon D7200 multi selector allowing full multidirectional use of this powerful tool, including diagonals. No other manufacturer has it. 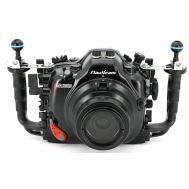 Nauticam's Rubberized Handles allow for a comfortable, secure grip that reduces hand fatigue and helps stabilize the shot. 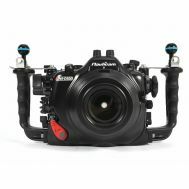 Nauticam Locking Housing Latches are integrated into the body of the housing offering secure, yet easy access to the camera. 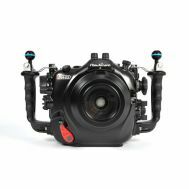 Lenses are the key to getting great images. 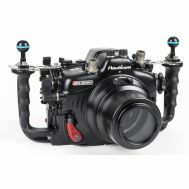 Nauticam has the most extensive array of ports, extensions and gearing available for any underwater camera housing.